Oh no, not again Delta! FA’s command breast-feeding mom to cover up! Back in February the normally outstanding @DeltaAssist made a mistake and created a twitter storm by giving the WRONG company info about breast feeding. Delta does have a bunch of FA’s but after this past dust up you would think a memo would have gone out to all of them just what Delta’s policy is regarding breast-feeding on planes (that is, you are allowed to – end of story)! However, as you can see from the video above, there has been a repeat incident and not one but two FA’s got it wrong. The dailymail.co.uk had a piece on it here and once again the mom went on twitter to share her outrage. just cover up, anything else is just intentional flashing. I don’t want my 7 year old seeking her breasts. I will do my best To not flash you my body parts in return lady. @Antignos – I have a policy against attacking me or other readers on the blog. However I am going to make a one time exception and I am sure other readers will agree with me that this is one of the most insulting and uneducated comments that have ever been posted on the blog. You are officially blocked on the blog FYI! It does not seem like the FA’s were trying to stop Ms Yu from breast feeding but just make the appearance more acceptable to others. Delta’s statement regarding breast feeding does not indicate whether it should be done covered or uncovered which does leave some room for interpretation by the FA’s. I have traveled with babies with my wife and both daughters with children and they would not have considered not covering up. @Craig – I support a woman’s choice to cover up or not. I think most mom’s can be discrete either way. Far be it from me to tell a mom what is best for them and their child and I think the same applies (or should) to Delta FA’s. Rene, I agree with you, however, Delta’s statement is unclear on this position, to cover or not, and should be reworded to address their position on this. That way FA’s would not be caught in the middle between Pax wanting and other Pax not needing a breast feeding Mom to cover or not. Could someone from Delta weigh-in on this? @Craig – I will reach out and ask later this week but I have a feeling they will say it is up to the mom. Txs. If they stated that it is up to the Mom that would clear up the gray area in the current statement. @Craig – I think can tell you what they are going to say. The will say: what part of “fully supports a woman’s right” is not clear. To me, and I think Delta will say the same, it is the woman’s right to choose. I agree. 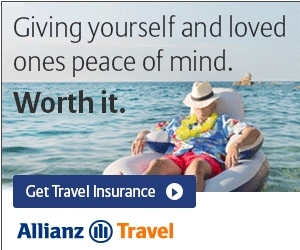 I personally think delta, and others, should specify cover or not just so there isn’t a gray area. I have a daughter and a daughter in law nursing infants right now and they choose when in their own home but try to be respectful everywhere else, which for them means covering. And there are so many options available specifically for covering these days. I have to admit I was surprised the other day when I came around the corner of an aisle at the grocery store and a mother was nursing her infant while she shopped, uncovered. Multi tasking at its finest, I suppose, but wasn’t exactly what I wanted to get an eyeful of while I shopped! I’m flying Delta tomorrow and I specifically asked about breastfeeding on a flight. They said I could breastfeed without a cover with no problem. The customer service rep verified it with Delta’s regulations and policies, so yes, Craig, they support a woman’s right to breastfeed in any manner that the mother deems appropriate. Oh and I would love to use a cover myself but am not able to as my child screams when I cover her and immediately kicks it off no matter how I try to attach it. She sweats profusely when covered and is very uncomfortable. I personally am not exposing any part of my breast as I’m wearing a nursing shirt and bra. Besides, the baby usually covers most of the exposed breast anyway. I think women should be able to breastfeed any way they desire.